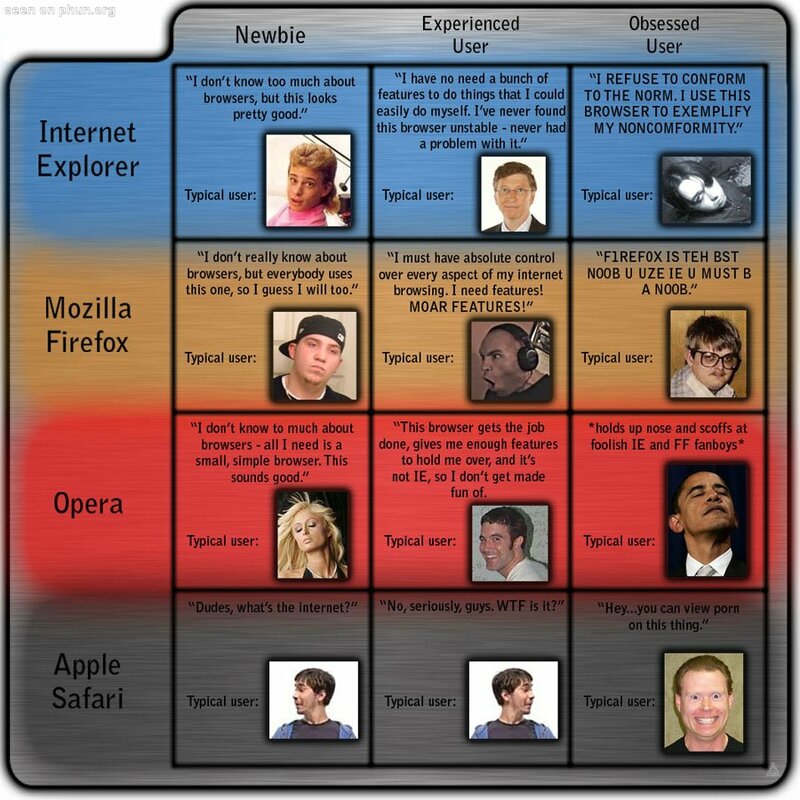 Comparison of the different Internet Browsers and their users. In case you are wondering what Internet browser I use … below is a screenshot of the Quick launch toolbar in my Windows machine … not necessarily in order of preference. The Internet Explorer is IE 8. Firefox is v 3.0.1. Opera is 9.5.1and Safari 3.1.2. I use IE mainly for Microsoft sites. My primary browser is Firefox, mainly because of the cool add-ons especially the web dev toolbar. I know I can probably use the “run as IE ” addon for Firefox, but hey you can never uninstall IE can you. I am gradually trying to shift to Opera though. Safari, I simply don’t care and I think the only reason I installed it is to get rid of the annoying “upgrade” Apple was offering as part of its iTunes/software upgrade. Why is Windows so expensive?